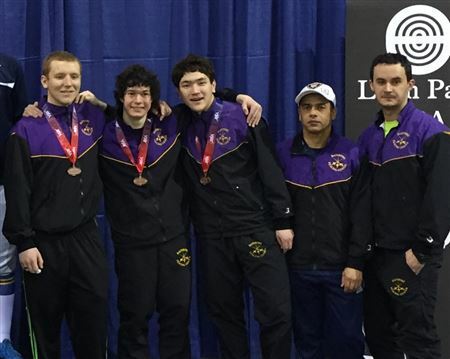 On the third day of the Junior Olympic Championships held in Richmond, Virginia over President’s Day weekend, the BFC men’s foil team reached new heights as it placed third in the Junior Men’s Foil team event. Congratulations to Daniel Budai, Seth Daily, and Duncan Rheingans-Yoo on this great accomplishment. 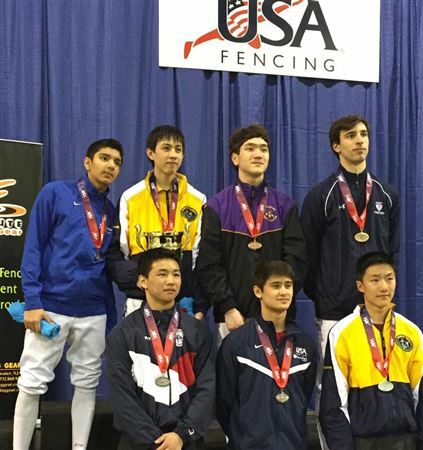 On the final day of Junior Olympics, Duncan Rheingans-Yoo added to his collection of medals by finishing third in the Men’s Junior Foil event in a field of over 200! The Junior Olympics are the toughest national level Cadet and Junior events of the season and require athletes to qualify for participation. When you see these young men at the club, please be sure to congratulate them on their outstanding performances.We wish these athletes and their coaches continued success in the future.